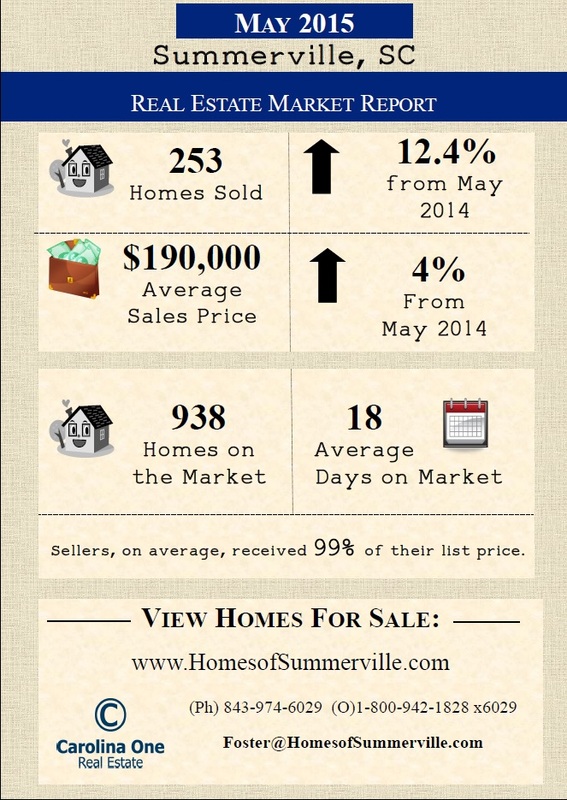 The May Real Estate Statistics are in for Summerville, SC and it was the strongest month of the Spring so far! Houses for sale in Summerville, SC are averaging only 18 days on the market and sellers are receiving (on average) 99% of their asking price. The average sales price in Summerville, SC is hovering around $190,000. This makes for a strong seller’s market especially with low inventory in certain areas. Fill out this form or give me a call if you are interested in what your Summerville home is worth in today’s market. Foster Smith – 843-974-6029. Springtime in Summerville is in full bloom and magnificent right now! The Summerville real estate market is also in full bloom and last month’s average price per square foot in Summerville shows that homes are selling and moving off the market at a rapid pace! I was privileged to be a part of these five home sales and closings. What is the Average Price Per Square Foot in Summerville,SC? Summerville SC Real Estate Market Report with Foster Smith shows that the Average Price per square foot in Summerville, SC went up to $97 last month, this is up from last year and significantly up from the price per square foot in Summerville two years ago! Two hundred and seventy seven homes were sold in the Summerville, SC area which is up 26% from this time last year in 2014. 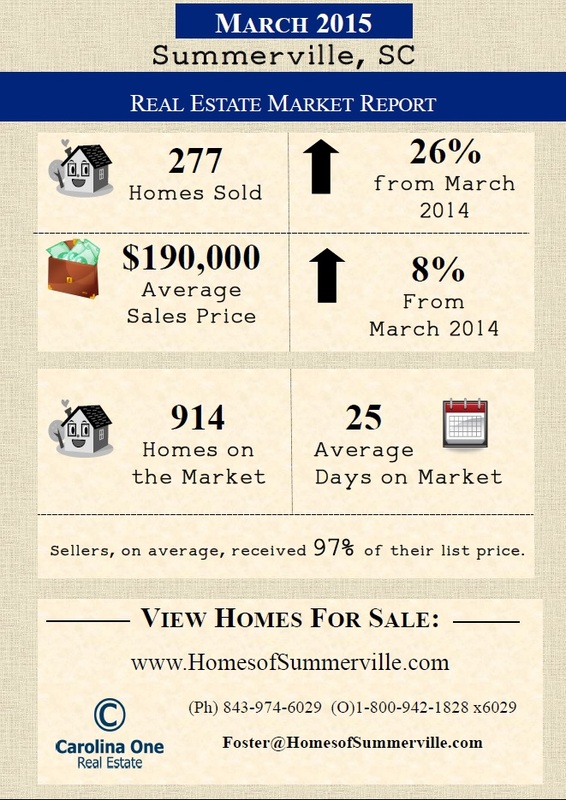 The Average Sales Price in Summerville is $190,000 which is up 8% from this time last year. Home Sellers in Summerville, SC are on average receiving 97% of their list price, which is a very strong statistics for our area and shows that the market is no longer a buyer’s market. At the moment in Summerville, there are a little over 900 homes on the market and those homes are averaging 25 days on the market before going under contract. Please feel free to contact me at 843-974-6029 or Foster@HomesofSummerville.com if you are interested in buying a new home in Summerville , a historic home in Summerville or selling your Summerville home. The number of homes sold in the Charleston region during February increased 22% over the last year, according to new data from the Charleston Trident Association of Realtors. A total of 509 homes sold in the region, up from 417 in February 2009. February’s median sales price, $179,900, changed little from last year’s $179,450 median price, the Realtors group said. Year to date, 851 homes have sold in the region. That’s a 10% increase over the same period last year, when 789 homes had sold. The median sales price so far in 2010 is up 5% over the same time frame last year, according to the Realtors’ data. The Charleston Trident Association of Realtors said 9,532 homes are on the market as of the end of February. At the end of January, 9,171 homes were listed for sale. The group adjusted the number of homes sold during January to 429, up from the 416 originally reported. The actual median sales price was $191,100, down slightly from the $194,000 reported earlier. Among the region’s three counties, Charleston County led the market in volume and price increases during February. Home sales in Charleston County increased 60% over February 2009. During the month, 288 homes sold, and the median price increased 5% to $235,950. 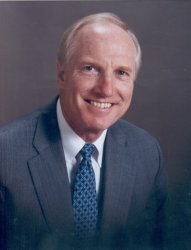 Sales in Berkeley County increased 16% to 108. The median price was $157,495, down 3% from last year. Dorchester County home sales increased 5% to 91. The median price declined 15% to $145,000.